About 16 million Americans already count yoga as one of their regular activities; another 18 million are extremely interested to try it … but for one reason or another have yet to do so. If you’re among them, you’ll soon see that you have everything to gain and virtually nothing to lose by giving yoga a try. Whether you’re looking for relaxation, pain relief, exercise or simply a new challenge, yoga truly offers something for everyone. Yoga is a wonderful form of natural pain relief. Among people with chronic low back pain, doing yoga for just 12 weeks led to greater improvements in back function than usual care,2 and yoga for 6 months has been linked to significantly less disability, pain, and associated depression. It’s not only back pain that stands to benefit, either. Yoga has been found to benefit many types of pain, including that from fibromyalgia, arthritis, joint pain, neck pain and more. As you get older, your flexibility and balance can suffer, increasing your risk of potentially serious falls and fractures. 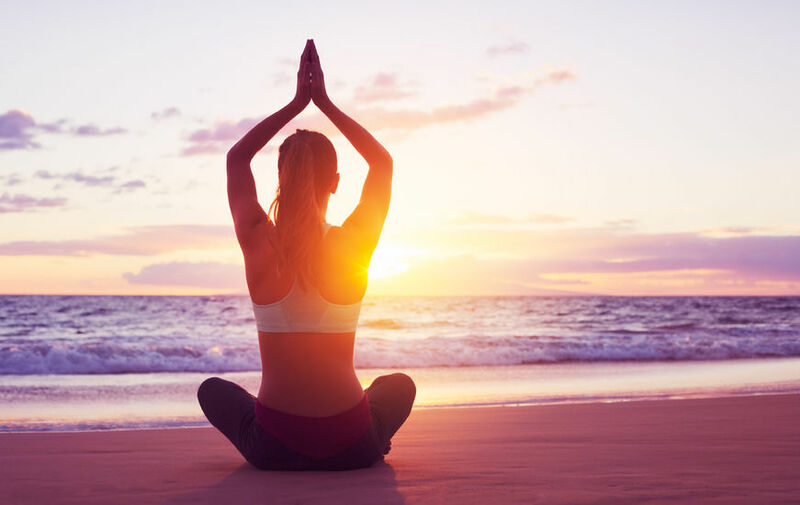 Engaging in yoga is an enjoyable way to turn back the hands of time, in a sense, and actually enhance your muscular strength and body flexibility, rather than lose it. Through improvements in balance, posture, and flexibility, yoga can help keep you nimble and active at any age. The numerous types of yoga available might seem intimidating if you’re just beginning, but each has a unique style to offer – that’s part of the fun! For a basic, beginner class, try Hatha yoga, one of the most popular styles that includes traditional yoga postures for all fitness levels. If you’re looking for more of a challenge, try Ashtanga or Power yoga, which are faster paced and more difficult, and will give you a more vigorous workout. If you really want to work up a sweat, try a Bikram yoga (or Hot yoga) class, which is done in a heated room to increase flexibility and detoxification. For those looking for a more mindful experience, try Kundalini yoga, which helps your body release an energy that boosts well-being. Ananda yoga is another type that prepares you for meditation and enhances self-awareness and spiritual growth. If improving posture is your goal, try Bharata or Iyengar yoga, both of which will help to align your spine and improve posture and bodily alignment. As you can see, the choices are virtually endless, as are the benefits. Ideally, try a variety of classes to see which styles are for you, and don’t be afraid to experiment … you’ll never know which yoga class may be your new fave unless you try it! 3. J Affect Disord. 2000 Jan-Mar;57(1-3):255-9. 4. Int J Yoga. 2011 Jul;4(2):49-54. 5. Indian J Physiol Pharmacol. 2004 Jul;48(3):269-85. 6. Journal of Alternative and Complementary Medicine 2010 Nov;16(11):1145-52. 8. J Aging Phys Act. 2011 Jan;19(1):62-79.